Bancroft Hits 151 On Durham One-Day Debut, Wants "To Win Crowd Over"
Rome won the right to host the Ryder Cup golf tournament for the first time. It will host the 2022 edition. "Extraordinary work by all of our team, the Ryder Cup is OURS!," Rome's bid co-ordinator Marco Durante said in a post on Twitter immediately after the announcement. The cream of world golf will descend on the Marco Simone Golf and Country Club in seven years' time for the biennial contest between Europe and the United States, Ryder Cup organisers announced in a statement. "The Italian capital city of Rome will host The Ryder Cup for the first time in 2022," it said, adding that the "golf's greatest team event will be staged on the Continent of Europe for the third time." Four nations - Austria, Germany, Italy and Spain - had been competing for the right to stage the 2022 edition. But after inspecting all four sites in recent months, organisers finally plumped for Rome, whose venue is only 17km from the centre of the 'Eternal City'. From the 17th tee, players and fans alike can spot the dome of Saint Peter's Basilica on a clear day, although the venue's various transport links to the capital and its thousands of hotels were a key factor in the final decision, as well as Italy's pledge to use their staging of the tournament to further develop the sport throughout the country. "We are a country of 60 million people and we have only 100,000 golfers, so the potential is huge," Durante told AFP in an interview last month. Founded by and still owned by celebrated fashion designer Laura Biagiotti and her family, the Marco Simone Club hosted the Italian Open in 1994. The statement added: "The Italian bid was consistently strong across all the areas evaluated and in particular in their pledge to undertake a complete reconstruction of the golf course at Marco Simone to the highest standards demanded by Ryder Cup Europe, in addition to a hugely significant commitment to the Italian Open in terms of guaranteeing a EUR7 million prize fund for the championship for 11 years, beginning in 2017." 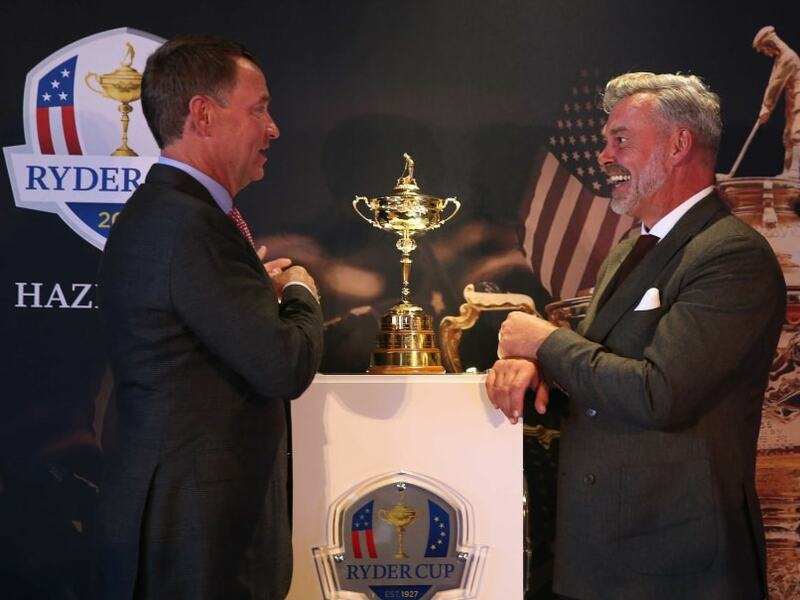 Next year's tournament will be held in Hazeltine National in Minnesota, while France will host the 2018 event and Whistling Straits in Wisconsin hosts the 2020 Ryder Cup, two years before it returns to the old continent. Get the latest IPL 2019 news, check out the IPL 2019 schedule, IPL live score & IPL Points Table. Like us on Facebook or follow us on Twitter for more IPL 2019 updates. You can also download the NDTV Cricket app for Android or iOS.